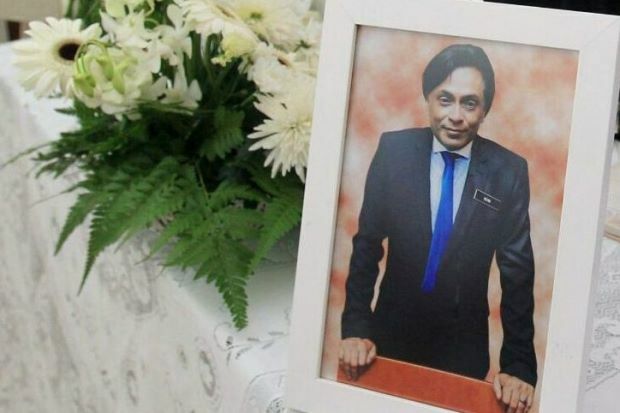 KUALA LUMPUR (Bernama): The seventh accused in the murder of Deputy Public Prosecutor Datuk Anthony Kevin Morais told the High Court here Tuesday (Oct 2) that he was offered RM3.5m by former prime minister Datuk Seri Najib Tun Razak to admit guilt. S. Ravi Chandaran, 47, also told the court that the offer was made through a prisons officer and besides this, he also received an offer from Kevin Morais’s younger brother, Datuk Richard Morais, to do the same. Ravi Chandaran, who is the defence’s sixth witness, said this when cross-examined by counsel Datuk N.Sivananthan who is representing military pathologist Colonel Dr R. Kunaseegaran during the proceedings on the 24th day of the defence’s case. Sivananthan : You said Dr Kunaseegaran offered RM1.5mil for you to admit guilt. This was done on Dec 29. 2017. Ravi Chandaran also agreed to Sivananthan’s suggestion that the amount of money offered to him by the individuals concerned for him to plead guilty was RM7mil. To a suggestion that that the accused just made up the story about the money, Ravi Chandaran said he disagreed. He also disagreed with a suggestion that there was no reason for the individuals to offer him the money. When asked by Sivananthan whether Dr Kunaseegaran had ordered him to kill Kevin Morais, the accused said: “No”. To a question whether Dr Kunaseegaran had ordered him to do something to Kevin Morais such as to kidnap the victim, the accused also replied “no”. In the previous proceeding, Ravi Chandaran had told the court that Dr Kunaseegaran had offered him RM1.5mil if he pleaded guilty to killing Kevin Morais. R. Dinishwaran, A.K Thinesh Kumar, M. Vishwanath; S. Nimalan, Ravi Chandaran, and Dr Kunaseegaran had pleaded not guilty to the murder of Kevin Morais during their journey from Jalan Dutamas 1, Sentul, to No.1 Jalan USJ 1/6D, Subang Jaya, between 7am and 8pm on Sept 4, 2015. They are charged under Section 302 of the Penal Code and read together with Section 34 of the same code, which carries the mandatory death sentence upon conviction. Dinishwaran, 26, Thinesh Kumar, 25, Vishwanath; 28, Nimalan, 25, and Ravi Chandaran, are represented by lawyer Rajehgopal while the prosecution is led by deputy public prosecutor Saiful Edris Zainuddin.